Townes Van Zandt is a fun artist to cover. Just ask Elizabeth Cook and Jason Isbell. 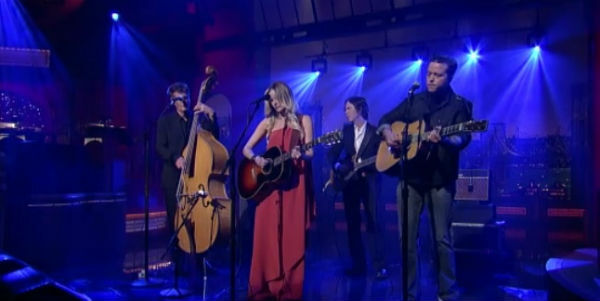 The Americana-friendly artists picked not one but two Van Zandt songs to perform for their recent appearance on Late Night With David Letterman. Watch the ad hoc duo perform “Pancho and Lefty” (a song we recently dissected in our Lyric of the Week feature) and “Tecumseh Valley” in this web only exclusive. Love Townes? Read an excerpt from I’ll Be Here In The Morning, an artist’s tribute to the late singer-songwriter, featuring Lucinda Williams.